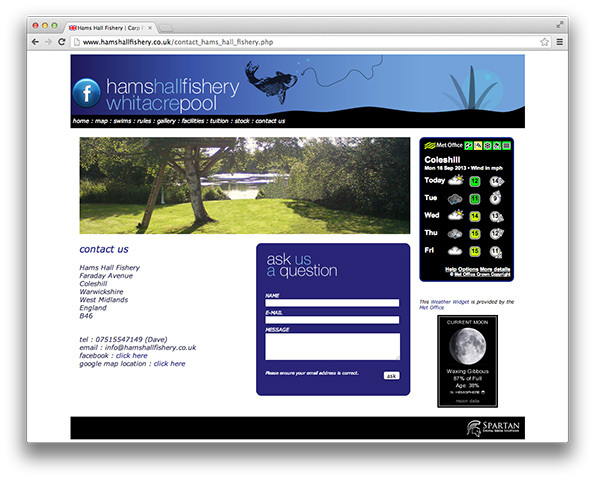 Hams Hall Fishery required branding and web presence. 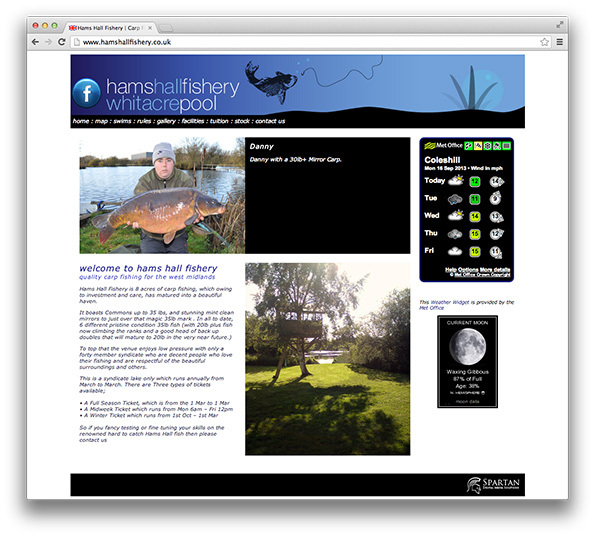 Hams Hall is a members only fishing pool, therefore the website needed to be useful for existing members and informative for people looking to join. A weather widget was integral for members to see when would be best to fish. 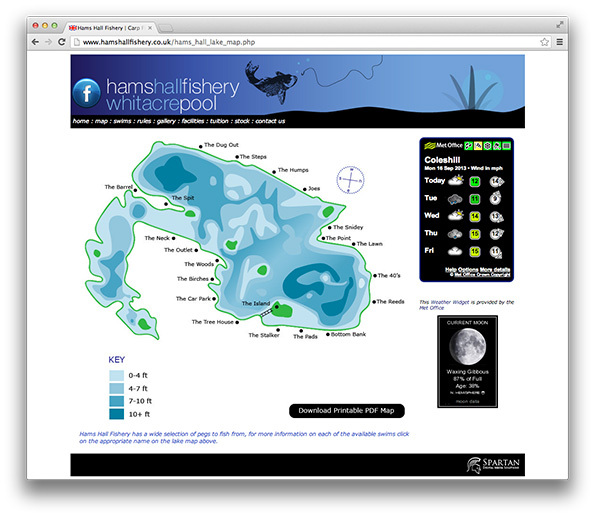 A vector Map was created showing depth of the pool with the locations of the different swims so that before turning up, members could choose where they would fish. 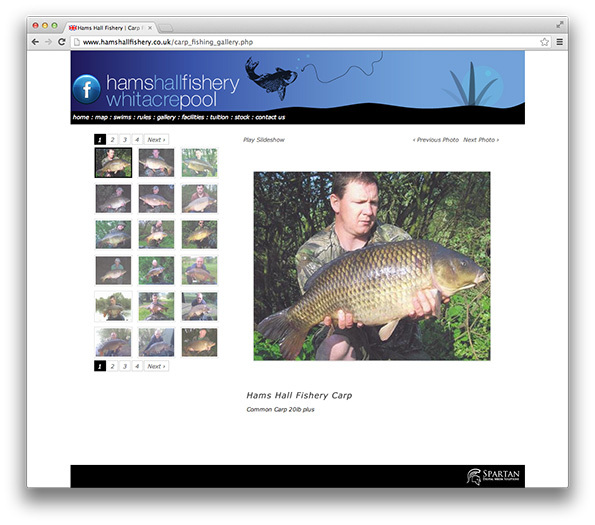 A custom CMS system was built so that photos could be uploaded at any time showing the 'latest catch' and also the stock of fish in the pool.